Lech Walesa is a native of Poland. He was a labour activist who was awarded a Nobel Prize in 1983. Walesa helped found and lead Poland’s first independent trade union, Solidarity. In 1990 he became Poland’s first freely-elected head of state. Lech Walesa (Wałęsa) was born in Popowo in north-central Poland on September 29th 1943. He served in the army and in 1967 was employed in the Gdansk shipyards as an electrician. In 1980 several workers at the shipyard were killed by police during a strike for better living standards. 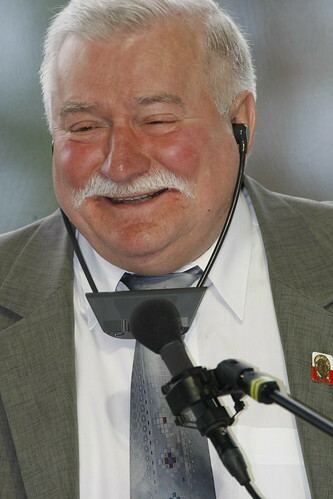 Walesa led the negotiations which ended in victory for the Solidarity Union. Solidarity was banned in 1981 by the Polish authorities. In 1983 Lech Walesa was awarded the Nobel Peace Prize. The Solidarity Union survived the ban and were the winners of the first free elections in 1989. In the following year Walesa was elected President of Poland. Lech Walesa won Poland’s first direct free presidential election in the country’s history in the year 1990 On This Day. 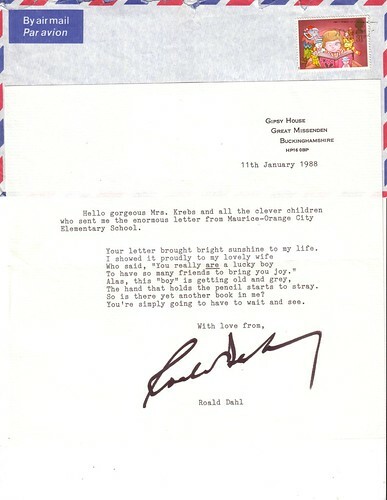 Roald Dahl, best known as the author of children’s books was a native of Wales. His books, which include novels, short stories and poetry, have sold millions of copies worldwide. Dahl served as a fighter pilot with the Royal Airforce during World War II. Roald Dahl was born Llandaff, Cardiff, Wales on September 13th 1916. Having completed his second level education he began working for the Shell Oil Company in East Africa. When World War II broke out he joined the Royal Airforce. He sustained serious injuries in a crash landing in Libya but later served as a fighter pilot in Greece and Syria. In 1942 Dahl was appointed assistant air attaché in Washington DC. There he met the novelist CS Forester who encouraged him to write about his experiences as a fighter pilot. Having written for a time for adult readers, Dahl began writing books for children. His first children’s book, James and the Giant Peach which was published in 1961, was a popular success. 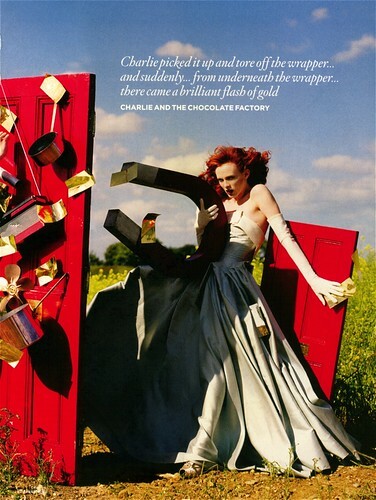 Dahl went on to write hugely successful books such as Charlie and the Chocolate Factory, Fantastic Mr Fox and Matilda. Several of his books have been made into movies, including BFG which was released as a film in 2016. Roald Dahl, best known as the author of children’s books, died at the age of 74 in the year 1990 On This Day. Caroline Wozniacki is a native of Denmark. She is a professional tennis player who was World Tennis No 1 WTA (Women’s Tennis Association) in 2010 and 2011. She was the first Danish person to achieve the top spot in the world rankings. Caroline Wozniacki was born in Odense, Denmark in 1990. Coached by her father she began playing tennis at the age of seven. She was the winner of several prestigious junior events including the 2006 Wimbledon girls’ singles title. In October 2006 Wozniacki won the International Tennis Federation (ITF) tournament in Istanbul, Turkey. It was her first title on the senior circuit. She went on to achieve No 1 status in 2010. She remained No 1 for 67 weeks. In February 2018 Wozniacki was ranked No 2 (WTA). Caroline Wozniacki, professional tennis player, was born in the year 1990 On This Day. Nelson Mandela was an anti-apartheid campaigner and politician who became the first black President of South Africa. Having been elected in a fully representative democratic election he helped end racial segregation and brought about a peaceful transition to majority rule. Mandela visited Ireland on three occasions. He was awarded the Freedom of the City of Dublin in 1988. Nelson Rolihlahla Mandela was born in the village of Mvezo in Umtata (now called Mthatha), South Africa in July 1918. Mandela, a Xhosa born into the Thembu Royal family, was given the name Nelson at the age of seven by his teacher in the local Methodist school. He was awarded a BA Degree by the University of South Africa in 1943 and shortly thereafter began law studies at the University of Witwatersrand. However he devoted his time to politics and failed his final exams. Having joined the African National Congress (ANC), Mandela became a member the ANC National Executive in March 1950. An advocate of non-violent resistance to apartheid he became deputy national president of the ANC in 1952. As part of the apartheid regime people were legally obliged to carry a pass at all times. A anti pass campaign was organised in 1960 in which passes were burned. At one such event police fired on demonstrators resulting in the deaths of 69 protestors in what became known as the Sharpeville massacre. Following the massacre Mandela helped organise a paramilitary campaign against the white minority Government. He was arrested and tried for treason in 1961 and though acquitted he was arrested again in 1962. He was convicted of leaving the country illegally and sentenced to five years in prison on Robben Island. In 1964 he was convicted of sabotage and sentenced to life imprisonment. He would spend the next 27 years in prison, most of it on Robben Island off the coast of South Africa. Frederik Willem de Klerk became President of South Africa in September 1989. He began to dismantle the apartheid system and in February 1990 ordered that Nelson Mandela be released from custody. Mandela was released from custody on February 11th 1990. The ANC with Mandela as leader won the general election in April 1994. Mandela was inaugurated as President of South Africa on May 10th 1994. 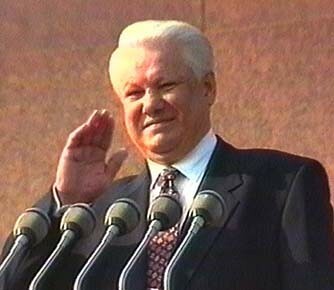 Having served one term as President he retired in 1999. In 1993 the Nobel Prize for Peace was jointly awarded to Mandela and de Klerk. Mandela died at the age of 95 on December 5th 2013. 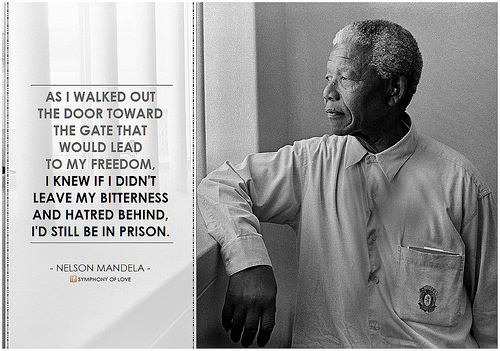 Nelson Mandela was released from custody on Robben Island in the year 1990 On This Day.